Birth control exemptions: Health advocates warn if new rule. A new rule on contraceptives was sent to the White House Office of Management and Budget last week, which reviews regulations before release. If it moves forward, this would be the government’s second attempt to expand religious exemptions for providing birth control in health plans. In October 2017 the Trump administration tried to broaden dramatically companies’ ability to claim “religious exemptions” to birth control mandates by issuing rules to allow companies to opt out on the basis of “moral conviction”. “That rule, the interim final rule, is nothing short of radical,” said Louise Melling, deputy legal director of the American Civil Liberties Union, which opposes increasing religious exemptions. The 2017 rules “dramatically expanded” the number of companies who would be able to claim an exemption, Melling said. The Trump administration’s rules never went into effect because several states sued, including Pennsylvania and California, where judges stopped the policies, pending litigation. Melling said the Trump administration could be trying to circumvent those lawsuits. The rule change is part of a larger push to expand religious objections to medical procedures, restrict abortion and limit family planning services. The administration has not publicized information about what the new rule may include, but reproductive rights advocates believe it will again attempt to restrict coverage. In the US, half the population, or about 157 million people, obtain health insurance through an employer. In 2012, the Affordable Care Act, also known as Obamacare, required some birth control methods to be fully paid for by health insurance. 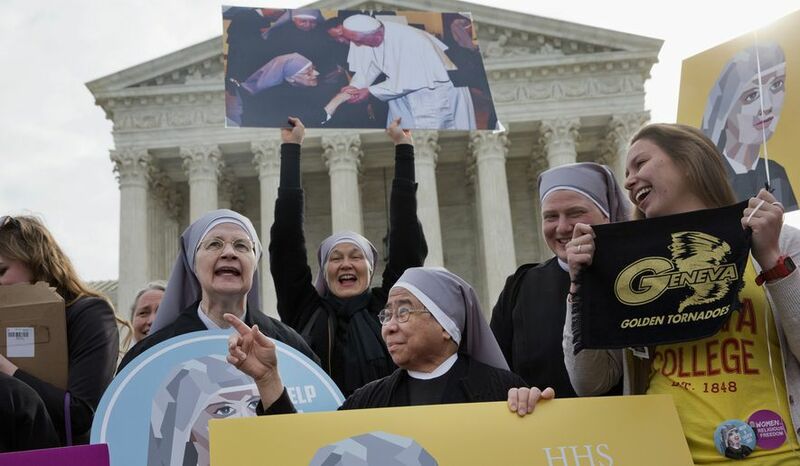 However, the law exempted a narrow group of employers from that rule, the so-called contraceptive mandate, including houses of worship and religious groups. “Closely held” private corporations joined that group after the Christian-owned craft store, Hobby Lobby, sued. The Trump administration’s first attempt to broaden religious exemptions would allow any company to apply not to provide birth control on the basis of religious conviction, and would allow all but publicly traded companies to apply for a “moral conviction” to avoid providing birth control.